Harbor Services sells, designs and installs Audio, Video and Electronic equipment for almost any application. 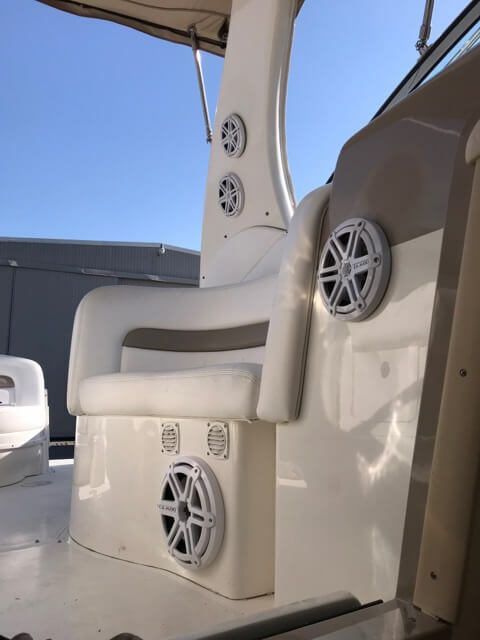 Whether you need a professional install or professional guidance on which system would be best for your boat, we are here for you. We design your electronic and audio/video systems to fit your tastes and boating needs. We only use the highest grade components, water proof where necessary and available. 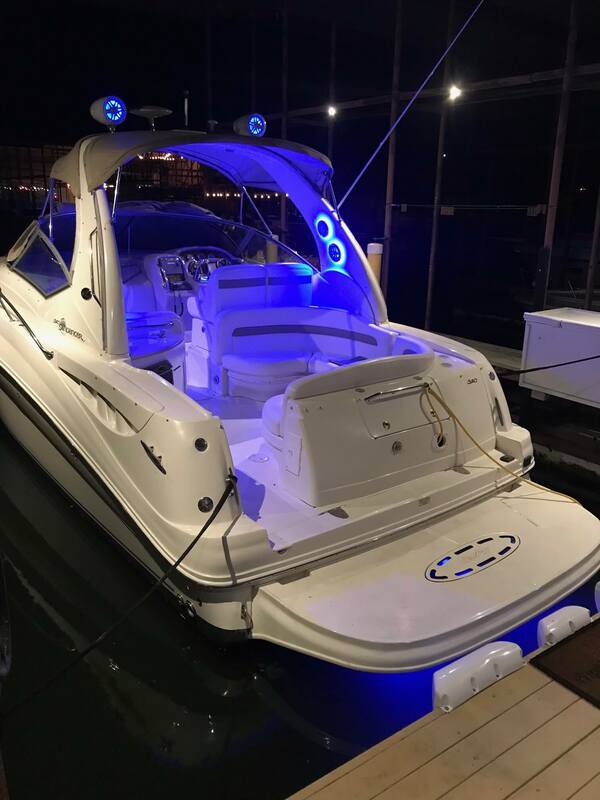 Choosing the best marine stereo system for your boat or dock space can be a challenge. There are many aspects of the install to take into consideration and just as many different systems and features available. Let us help you design that perfect system for years to come. Not everyone appreciates all the bells and whistles that are available this day and age. However, those who want every advantage in making it back to the dock safely, in any conditions, understand! Those who like to cruise at night, or in less then favorable weather, understand! Sonar assures you that you know what the bottom of the lake looks like, at all times, protecting you from running aground. Radar lets you see obstacles from 50ft up to 12 miles away, in the deepest darkest night. Thermal Cameras, which are becoming more affordable every day, let you see the obstacles in front of you, otherwise not visible in a moonless or foggy night. Is like being able to see through walls! Let us design a chartplotter system, that meets your needs today! !